Signature Stairs aim to provide clients with custom stairs and a service that will surpass their expectations. 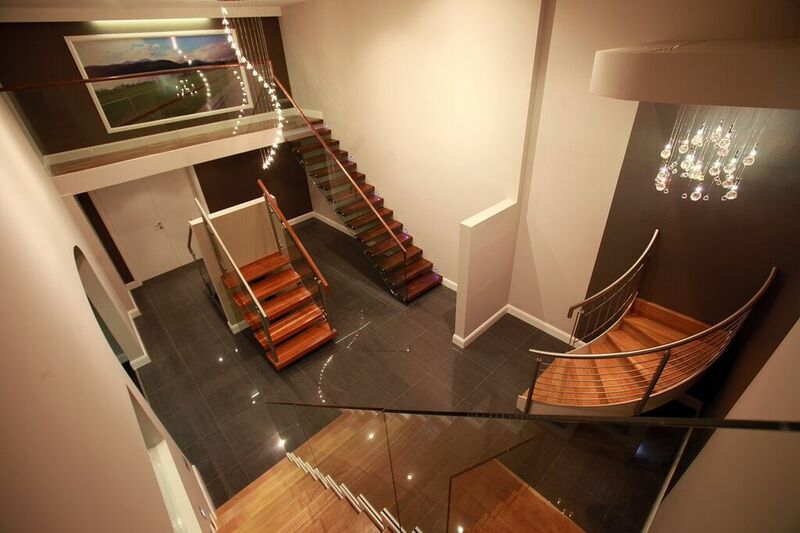 We utilise our experience and expertise to aid our clients through the entire process from initial consultation to final installation, ensuring the best custum stairs solution is chosen based on preferences, budgets and what is achievable on-site. We are happy to discuss and advise clients on their project requirements. We encourage clients to have this discussion early in the build process as this will increase your design options and can prevent potential costs. Throughout the process our team will work closely with clients, their architects, contractors & interior designers to ensure they are aware and happy with each step so that the finished products are installed to their satisfaction and to an agreed schedule. Each project gets a site survey and is drawn to measure, this includes 3-D survey technology to exact “as built” site environments. A 3-D model and CAD drawings are then given to clients for their approval prior to the project going into production, any final fixing and structural details will be clarified with clients at this stage. Once approved, projects go into production and an installation schedule is agreed. In the case of a full stair cases it is normal that installation will be over two visits, the first to install the main structure, with glass and timber cladding added at a later date. All our custom stairs structures are metal based with solid timber cladding. Clients can choose from a myriad of natural timber types and finishes. Please note: we use natural timber products, clients can expect variances in colour, shading and grain in our products as part of their natural appeal. Where clients request timber to match a flooring product please know that this is not always possible depending on the colour and processes the flooring had gone through. If we do try to match a flooring finish this is subject to a sample being approved and there is an additional cost (pricing will depend on how many processes are required to achieve the desired finish). Smoked finishes to timber can be extremely difficult to replicate. Click on the link (above left) to visit our online virtual showroom.